⬅ What is a Side Hustle? Side hustles are convenient, a good source of income, and relatively simple to start up. But one of the hardest parts that are involved with setting one up is actually coming up with an idea or choosing what sort of side hustle to even start! With so many possible and profitable lines of work available for freelancers, it can be incredibly hard to pick just one and stick with it. If you’re one of those individuals who just can’t decide which skill to turn into their side hustle, then just keep on reading, because here are 5 tips to help you find the perfect side hustle. 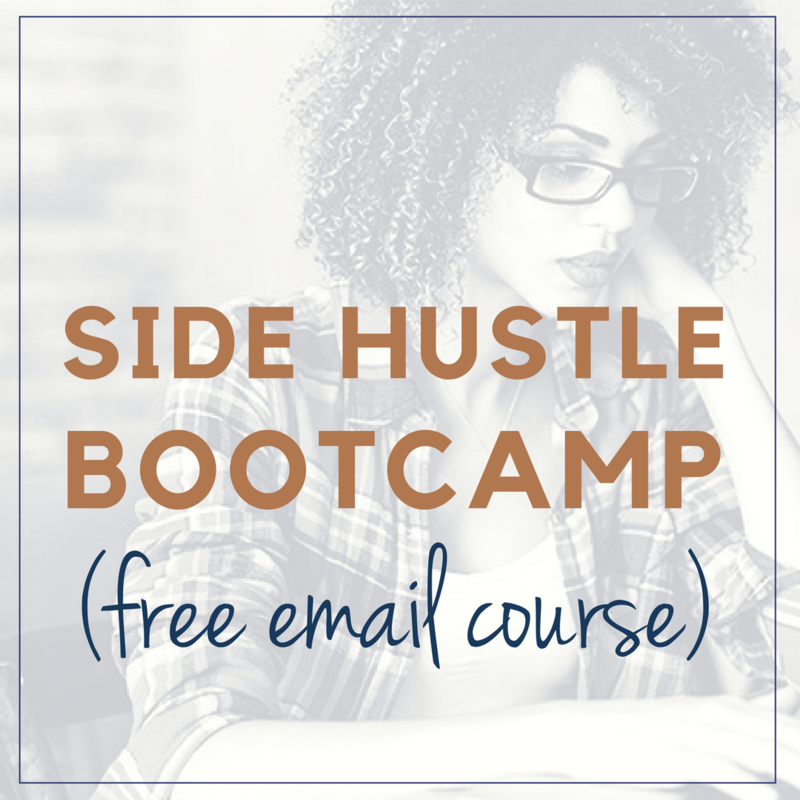 Sign up for our email list and the FREE 7- Day Side Hustle Boot Camp e-course will be waiting for you in your email! You’ll get a lesson every day and FREE business coaching in your inbox every week. By opting in, you are agreeing to be a part of our email list. Do NOT opt in unless you want some serious entrepreneurship goodness. 1.) Think about your skills. But of course- you’re not going to start up a side hustle wherein you have little to no talent in your field of choice, right? That would be a terrible decision, and you’d just end up wasting both you and your potential customer/client’s time if you did so. Think about your fortes and talents. If people love your baking why not consider starting up your very own online baking website? If you’re good at fixing technology why not start a small repair kiosk? Know what you’re good at, and turn it into something of use. 2.) Consider your schedule. This is another important thing to take note of. If editing code takes you hours upon hours of valuable time, then you can’t exactly turn it into a side hustle, can you? Nope, it would distract you from your primary job and even if you did somehow manage to do both, you’d barely get any sleep or free time! Choose a side hustle which you know you’ll be able to work into your free time and schedule without sacrificing your mental health, sleep patterns, and overall well being. DON’T FORGET IT: PIN IT! 3.) Weigh the pros and cons. Think about the pros and cons of the side hustles you want to turn into reality. If you want to become a part-time designer but think it’s too demanding, then find something else. Consider things like profit, skill and effort usage, and time when coming up with a final decision. 4.) Know what you want. Imagine yourself in ten years turning your brand new side hustle into a success. Think about your vision- what do you want this new niche to turn into? What do you want it to become? Once you’ve gotten a clear hold of what exactly you’d like to happen, it’ll be far more easy to settle with one final hustle for you to turn into an amazing opportunity. 5.) Ask for ideas. If all else fails, then ask for help! Ask other people for advice and ideas in order to help you decide which side hustle you should settle with. Try and ask individuals who are close to you and know you well because they are more likely to have the ability to gauge your skill level and talent. Don’t be afraid to reach out to other people when you’re having trouble- no man is an island, after all. Question: Do you know what side hustle you want to start already? I’d love to know more. You can leave a comment by clicking here. Want to start a "Side Hustle?" You’re in the right place. Learn the first steps to take to create a business you truly love. Learn how to identify what side hustle to start and how to turn it into a thriving business.